Each year the Festival pays special tribute to outstanding Americans by making public awards and recognitions. Recipients of these awards have included the following individuals. 1994 Augustine A. Mazzei, Jr.
2017 Senator Roman W. Prezioso, Jr.
1985 Gov. 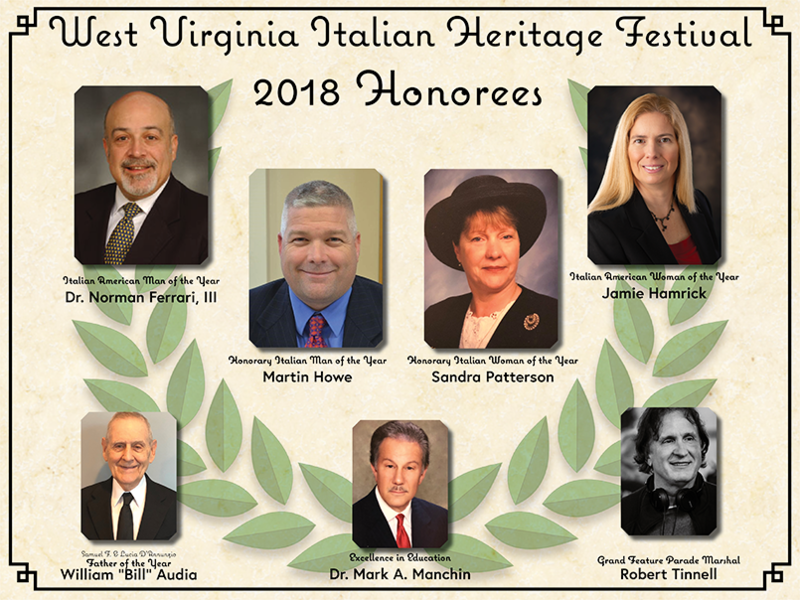 Arch A. Moore, Jr.
© 2019 West Virginia Italian Heritage Festival. All Rights Reserved.